The Business and Commercial (UCC) Services Division of the Secretary of State records and certifies Notaries Public for the State of Arkansas. A Notary Public verifies the identity on an individual who appears before them. The Notary acts as an official and unbiased witness to the identity of a person whether the person be taking an oath, giving oral or written testimony, or acknowledging his/her signature on a legal document. Note: Application, renewal and change of information procedures have been changed. Please read the New Notary System Customer Guide before proceeding. We are in the process of updating our online training. Arkansas is a national leader in Electronic Notarization. The Arkansas Secretary of State’s Office is the entity responsible for commissioning notaries who wish to perform electronic notarial acts. 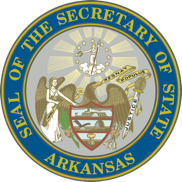 Arkansas’ eNotary laws reflect the standards set forth the National Association of Secretaries of State and abide by the requirement of in-person electronic notarizations. This means the notary and signers must be in the same physical location at the time the document is electronically signed and notarized. This allows electronically notarized documents to be as secure and reliable as those notarized in the traditional pen and ink fashion. Remote or Online Notarization is not permitted by law in Arkansas. All other notary laws also apply to electronically notarized documents. All Electronic Notaries must use a solution provider that has been approved by the Secretary of State’s Office. A list of approved solution providers is available in the resources section of this page. When selecting a solution provider, the eNotary should carefully research each option to determine which service best meets their needs. Consider the cost of the solution, the technology used, how the solution will fit with the documents to be electronically notarized and the security required for transactions. Step 1: You must be an Arkansas notary in Good Standing. Complete the Online Application for Electronic Notary Commission at http://bcs.sos.arkansas.gov, which requires a $20 application fee paid electronically. Note: If you have less than a year left on your traditional pen and ink commission, it is recommended that you wait until you renew that commission before applying to become an eNotary. Your eNotary commission will expire on the same date as your pen and ink commission. Step 2: Upon notification of acceptance of the application, register for the free required in-person training and examination. Classes are scheduled upon an as-needed basis. All approved applicants requiring training will be notified via email each time a class becomes available. Step 3: Attend the required in-person training and exam; pass the exam with at least an 80% score. Step 4: Upon successful completion of the exam, register with an approved solution provider of your choice. eNotary and eRecording are the wave of the future. Many financial institutions, real estate entities and county recorders are relying more on the ease of electronically filing notarized documents. Without the ability to electronically notarize the document, the process cannot be fully electronic and efficient. All eNotaries in Arkansas must pass a specific course of instruction to be commissioned. At the time of notarization, the solution provider verifies the eNotary is in good standing. 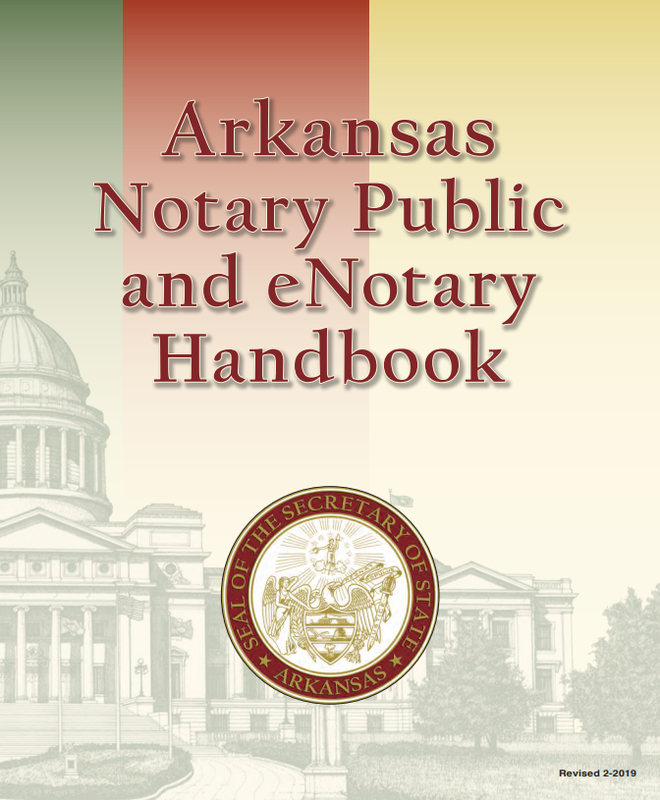 Additionally, eNotaries are required to complete refresher training every two years of their commission to ensure they are current on Arkansas’s notary laws and procedures. These requirements are not in place for traditional paper and pen notaries. eNotary provides even more security to a document than traditional notarizations. Many solution providers use Public Key Infrastructure (PKI) and hashing to encrypt the documents and protect them from hacking and other alterations. Alterations made to the document after it has been sealed by an eNotary are flagged and made readily visible to anybody who views that document. eNotary also has the ability to eliminate paper from the equation thus saving on printing costs and is more environmentally friendly.